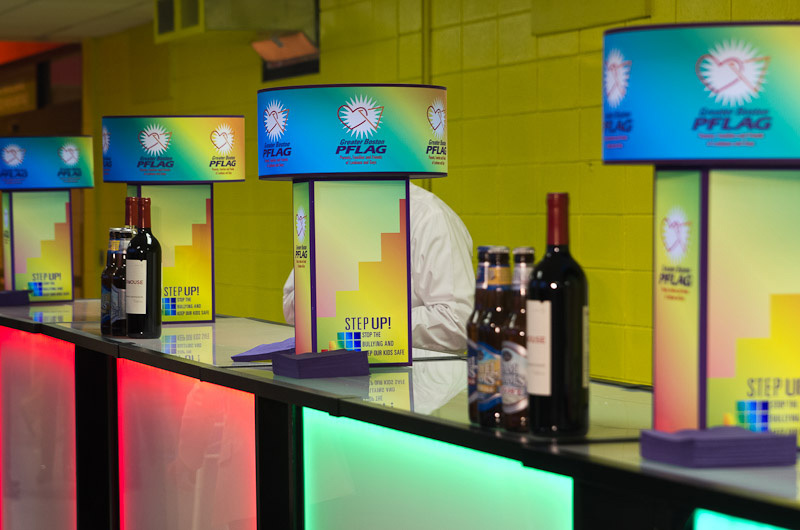 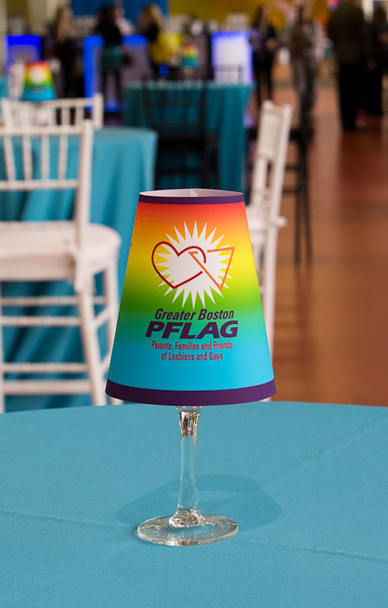 Last month we created colorfully branded lamps and wineglass shades for the annual benefit for Greater Boston Parents, Family, and Friends of Lesbians and Gays. Held at the Black Falcon Cruise Terminal, the event raised a record-breaking amount of money to bring the anti-bullying and family support programs of Greater Boston PFLAG into high schools and middle schools across the state. We are very proud to have participated in the evening's rainbow-hued festivities! 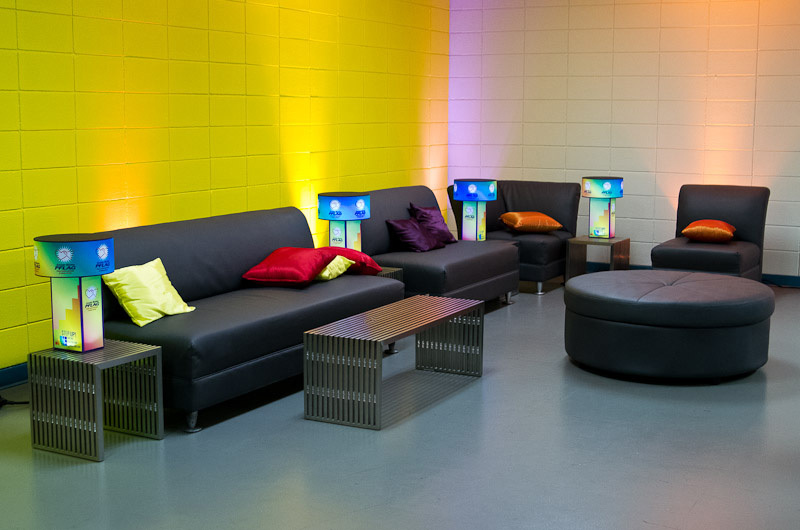 Wineglass shades were lit with color changing LEDs for an interesting effect.